"I can't believe was almost too chicken to play Captain America," said Chris Evans in the new issue of Entertainment Weekly, on sale this week. 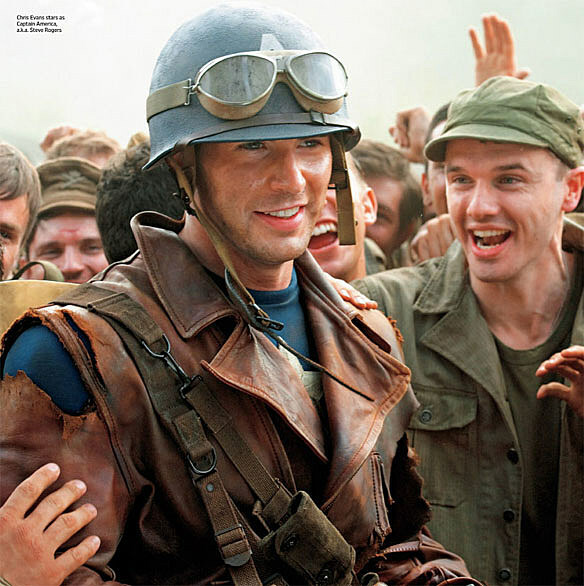 The Captain America: The First Avenger star confesses to some serious apprehension before finally accepting the role of Marvel's most patriotic superhero, but as you can see in EW's first look at Chris Evans in costume, he's a virtually perfect (at least physically) embodiment of Captain America. 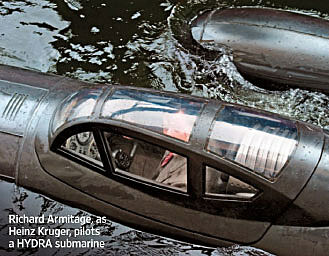 "At the time, I remember telling a buddy of mine, 'If the movie bombs, I'm f--ed. If the movie hits, I'm f--ed!'" 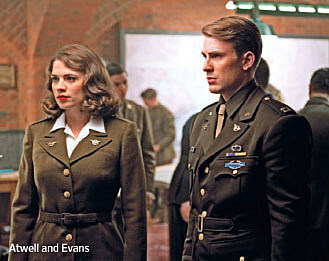 After declining the part three times, Evans took a meeting with Marvel execs and Johnston and was dazzled by their plans for the movie. 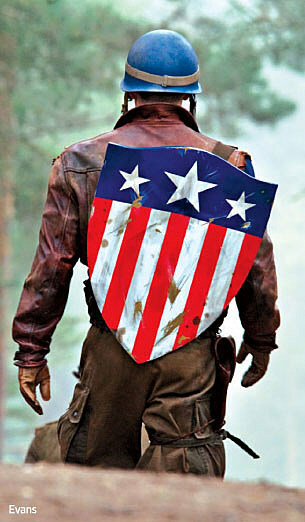 He still felt wary about suiting up for Captain America - but then he had an epiphany. "I was just scared," he says. "I realized my whole decision making process was fear based, and you never want to make a decision out of fear." 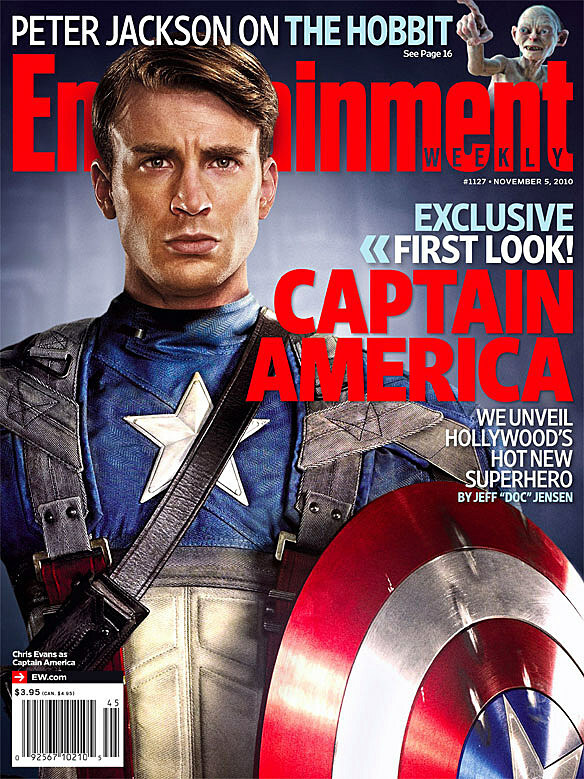 EW's shot of Chris Evans in costume comes after a number of leaks and teases. We saw a more or less complete costume shot last month in photos of Evans' stunt double performing as Captain America on the film's set in London, and Evans as a plainclothes Steve Rogers with some fake feet. Although released costume designs show Captain America in his complete outfit -- including cowl -- we've yet to see Evans all masked up. 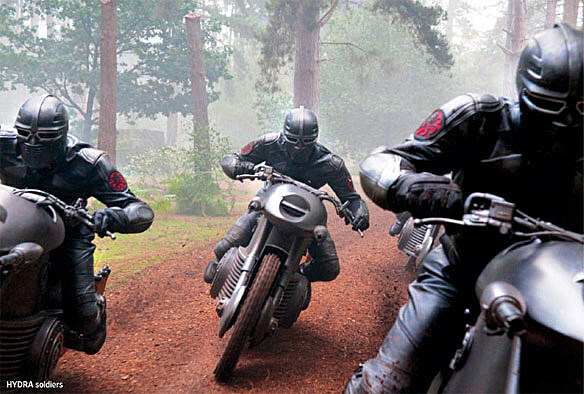 Directed by Joe Johnston and co-starring Hugo Weaving as the Red Skull,Captain America: The First Avenger opens July 22, 2011, and will be followed by Joss Whedon's Avengers in 2012.